Innovative software for your business. 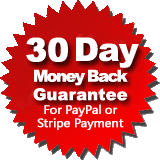 Cheque Printing software, Invoicing software, RoboMail mass mail software, and many others. 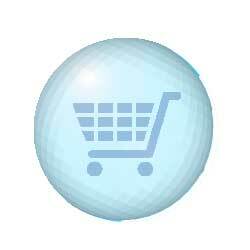 Issuing quotation, invoice, receipt & delivery note has never been easier. 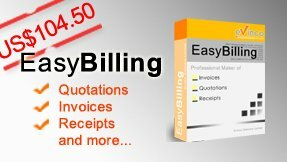 EasyBilling software helps you in preparing sales document in PDF, HTML, Excel format with just few clicks. The documents can be customized with your own logo, header, footer, labels, columns to fit your business. Provides complete cheque printing and cheque management solution. 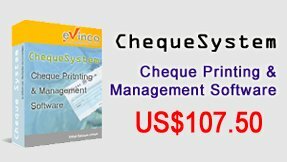 Not only help you print cheques with your printer, but also manage cheques records in systematic way. Account Report, Payee Report, Monthly Statement are provided to help keep track your cheque recrods. 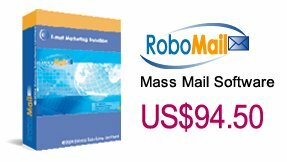 Enjoy the email marketing with RoboMail software. Send personalized email to your customers and promote your products. Events can be highlighted with font color, style or icon. 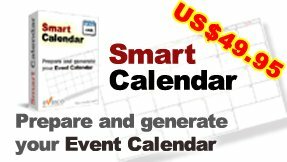 Monthly, weekly, daily calendar can be exported into PDF, HTML and Excel format. 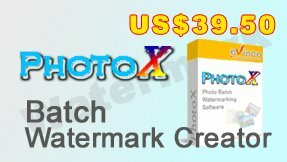 Add Watermark to protect photos. 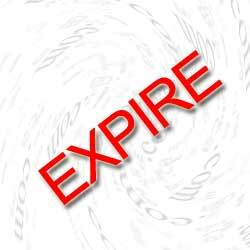 Protect your product photo and intellectual property, stamp your photos with watermark (Text or Image). Just a few clicks, all your photos get watermarked. merge multiple photos into a single PDF, or generate thumbnail page in PDF file. EasyBilling / ChequeSystem OSX Ver. 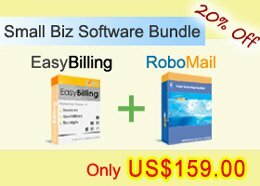 Mac OSX version of EasyBilling Invoicing Software and ChequeSystem Cheque Printing Software are released. OSX version has all the same features and user interface as the Windows version. We have already test our software on Windows 10 Technical Preview. The software runs well and we don't see any abnormal behaviour. We've improve our website to follow the Responsive Design. It is now mobile friendly.